Every successful construction project must start with superior design and engineering. Gary F. Lyons & Associates has assembled the most sought after team of cold storage and controlled environment professionals in the business today. Our senior members have worked together for over 46 years, on projects throughout North America and around the world. With this depth of experience, we will help you cut through the maze of design and engineering options. The combined knowledge of our in-house design and engineering staff enables us to develop the right design for your specific cold storage application. Taking a project from concept to completion requires an experienced general contractor. Zero-Temp Installation Co., Inc. has over 46 years of experience in the “nuts and bolts” of cold storage construction. Our project management abilities, commitment to quality and schedule compliance are second to none. We have proved ourselves on projects throughout the country, often under adverse conditions and very tight schedules. As a result we have built solid relationships with leaders in the food, dairy, aerospace, electronics, biomedical and pharmaceutical industries. Zero-Temp Installation Co., Inc. Cold storage panel installation has been described as more of an art than a science. Zero-Temp Installation Co., Inc. specializes in the installation of cold storage panels and doors. Period. Our installers are experts in their field. 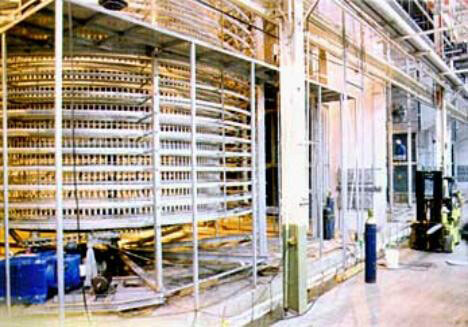 We have kept abreast of the ever-changing cold storage industry as materials and methods change. One thing that will never change is the quality of our work. From a small walk-in laboratory cooler to a gigantic outdoor freezer warehouse, our goal is to be the best.